A startup builds custom, on-demand 3D printed shoes and gives a glimpse of what innovation might look like in the future. Recently, I took a little road trip to meet some manufacturers. And this week we’re visiting Wiivv, a startup shoe factory just north of San Diego that’s bringing modern digital manufacturing to the consumer. Imagine taking pictures of your feet with your smartphone, and getting custom-molded sandals delivered to your door within 10 days. While I visited Wiivv’s factory in San Diego, I sat down with their co-founder and CEO Shamil Hargovan and their senior engineer Chris Bellamy. I wanted to hear what it’s like to start a company delivering custom, on-demand products. I was curious about their production process, which combines digital manufacturing (like 3D printing) with more traditional approaches. We start off the conversation with a story from Chris about how he ended up running the marathon in a pair of their flip-flops! And we get some really interesting insights into how the trend towards digital manufacturing might change the way we live, work, and play. Shamil​l Hargovan is a tech entrepreneur​, who ​has contributed thought leadership and invention to the emerging fields of adaptive manufacturing, augmented reality, and​ IoT. In 2016, Shamil was named to the Forbes 30 Under 30 for Manufacturing and Industry in 2016 and Forbes 30 Under 30 Alumni All-Star List in 2017. 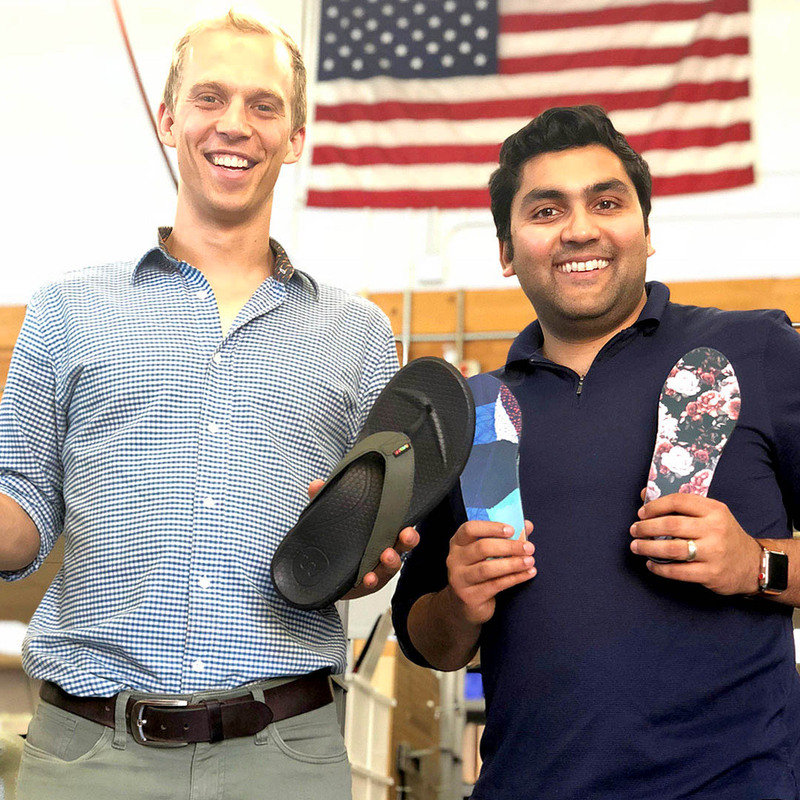 Shamil quit his job at Hewlett-Packard (HP) ​to co-found Wiivv, with the vision​ of​ transforming footwear and apparel for every human body so that we​ can move and live ​our best​. Now a proud resident of Cascadia, Shamil has lived in and worked for organizations ranging from 3 to 300,000 people in Australia, Africa, and North America. Chris is a creative and entrepreneurial chartered engineer. Having studied Manufacturing Engineering at the University of Cambridge, and developed luxury cars at Jaguar Land Rover – Wiivv was the perfect opportunity to bring Chris’ two passions together: designing and manufacturing disruptive customer focused products. He is happiest when connecting dots from his wide range of experiences in the automotive, footwear, and outdoor equipment industries.